Early morning sunrise over Sarangkot village and a stunning view of Annapurna Dhaulagiri Himalayan Range. Pokhara is the unique destination in the whole world sitting below the beautiful panoramic Annapurna Dhaulagiri Himalayas ranges and on the west, the pristine Phewa Lake. Peaceful Pokhara has a prime position beside a deep green lake, nestling among forested hills with picture postcard backdrop of gleaming Himalayan Peak. Pokhara is definitely the place to be, and the Pokhara city guided tour will take you to all of the major sites to see. 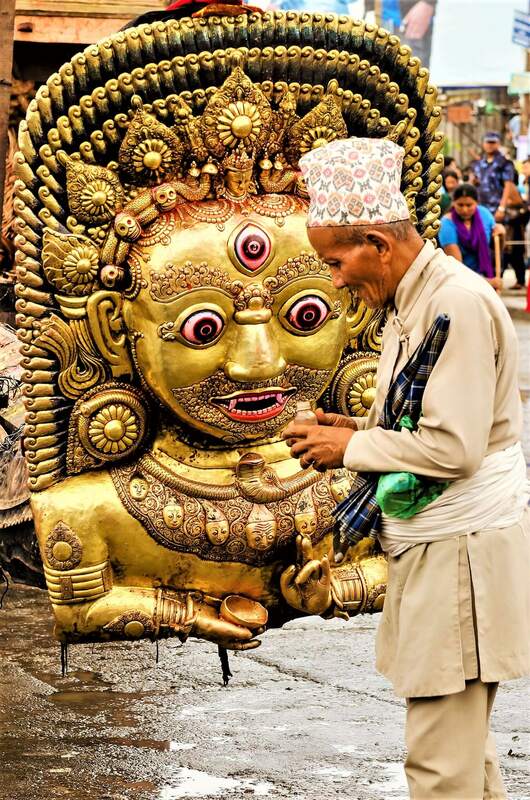 From sunrise from the Sarangkot Hill Sation to exploring the incredible Bat cave and Mahendra Cave, from major landmarks to world-class museums and World peace stupa, Pokhara is fast becoming the place to visit in all of Nepal. Pokhara is clean, pleasant and just plain beautiful. Sunrise over the Sarangkot-(6am) Wake up before breakfast as your private vehicle takes you to the top of Sarangkot Hill to watch a magnificent sunrise. The mountain peaks shift from grey to red to finally a brilliant white. Return to your hotel for breakfast after watching the sun perform its daily ritual of beauty. Bindhyabasini Temple: This is a typical Hindu temple and lots of religious tourists from SAARC area comes here to visit and do the prayers. Mahendra Cave and Bat cave: These two caves are just 5 mins drive way apart and Bat cave is more good for the adventures Tourist. World peace Pagoda(Stupa): Balanced on a narrow ridge high above Phewa Tal, the brilliant-white World Peace Pagoda was constructed by Buddhist monks from the Japanese Nipponzan Myohoji organization. 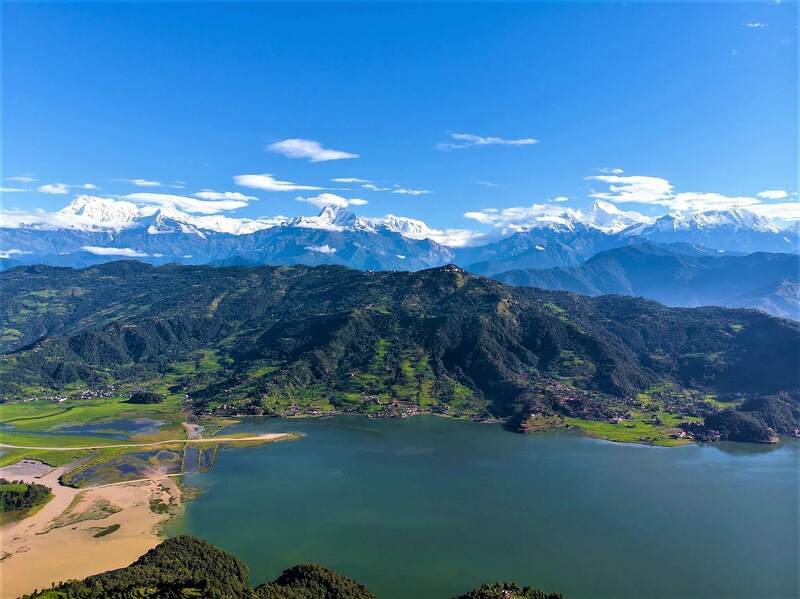 It is the very famous place to see the birds-eye view of Pokhara city, Phewa lake and Stunning mountain range. The stupa itself is very stunning to see and we can see lots of tourists circling around the stupa as a part of prayer. Gupteshower Mahadev Temple and Cave– The Pokhara region is riddled with caves, but the most famous is the Gupteshower Cave where there is an ancient Hindu temple deep within the earth. This is especially pleasant during the hot season. Davis Falls: – This is also known as palale chango in Nepali and one of Pokhara’s most famous landmarks. Which is also an outlet of Phewa lake. When the stream is at full bore after monsoon rains the sound of the water plunging over the falls is deafening. According to the locals the name is David’s fall a reference to a Swiss visitor who tumbled into the sinkhole and drowned taking his girlfriend with him. Seti River Gorge: The roaring Seti river passes right through Pokhara but you won’t see it unless you go looking. The river has carved a deep narrow chasm through the middle of the Pokhara city turning the water into milky white in the process. This is also one of the most interesting landmarks of Pokhara City.